Our heat storage systems (TES) and combined cold and heat storage systems (CES/TES) enable efficient storage of thermal energy, especially by the patented charging/discharging system. The optimal stratification of the storage medium minimizes losses and considerably supports the economic operation of the plant. 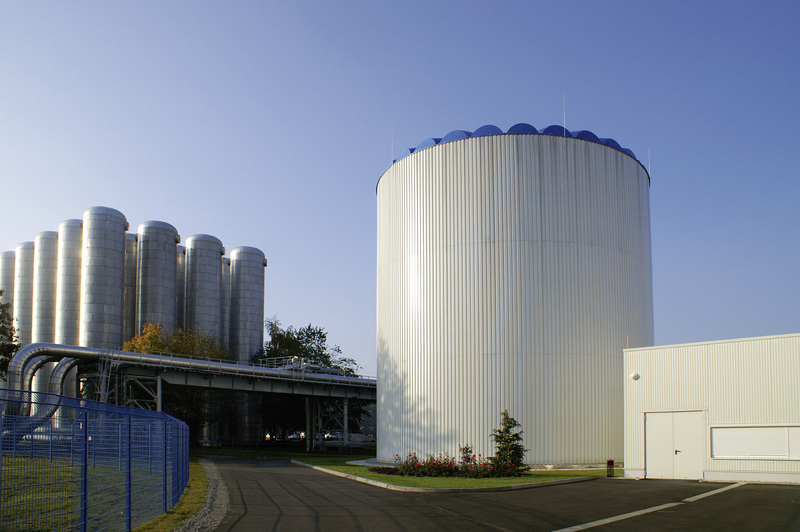 A quick mounting together with the use of optional tank sizes is offered by the bolted farmatic tanks also in the storage sector. Longevity and high quality of the screw connection within the tanks is ensured by the also patented f-protect system. In industry, agriculture and municipalities the increasing integration of renewable, fluctuating energy sources makes the use of flexible storage options to an important instrument with the control of energy flows. Our thermal energy storage systems comply with all the requirements for the cost efficient as well as universal use and present an optimal bridging of the gap between energy production and demand. Therefore we are currently also committed to a project of the German government relating to energy storage. Annual inspections can be omitted as the storage facility does not underly the pressure equipment directive. The powder-coated special material with a high corrosion protection and optimal thermal resistence used in production ensures best possible stability, also with extreme structural loads.